A force is push or pull exerted on an object. Force is a vector quantity that has magnitude and direction. The unit of force is Newton ( or kgms-2). When the forces acting on an object are not balanced, there must be a net force acting on it. The net force is known as the unbalanced force or the resultant force. The rate of change of momentum of a body is directly proportional to the resultant force acting on the body and is in the same direction. When there is resultant force acting on an object, the object will accelerate (moving faster, moving slower or change direction). 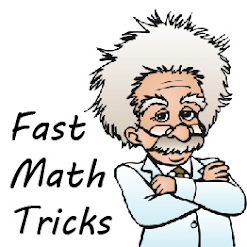 When there is no net force acting on an object, the object is either stationary or move with constant speed in a straight line. 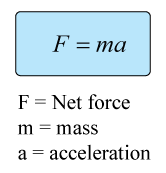 When there is a net force acting on an object, the object will accelerate. A box of mass 150kg is placed on a horizontal floor with a smooth surface; find the acceleration of the box when a 300N force is acting on the box horizontally. A object of mass 50kg is placed on a horizontal floor with a smooth surface. If the velocity of the object changes from stationary to 25.0 m/s in 5 seconds when is acted by a force, find the magnitude of the force that is acting? We know that we can find the magnitude of a force by using the formula F = ma. The mass m is already given in the question, but the acceleration is not give directly. The force acting on the box is 250N.